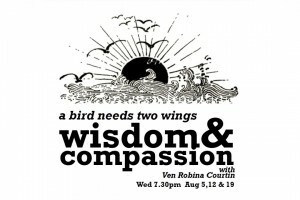 This with her ability to move across the ground at a million miles a minute, proves conclusively that you do not necessarily have to be quiet, serene and passive to be Buddhist. 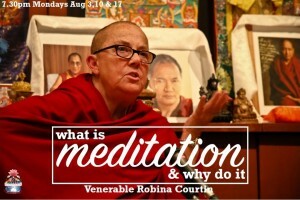 Ven Robina has been ordained for 35 years, has edited the FPMT’s Mandala Magazine and many Dharma books, run the Liberation Prison Project, featured in two movies, and tours the world inspiring others with her teachings from the heart. 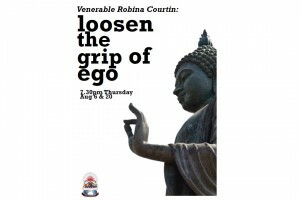 Ven Robina is teaching at Hayagriva Buddhist Centre during August. Below is her teaching program. Click on the title for details on each topic and to book and pay online. What is meditation and why do it?